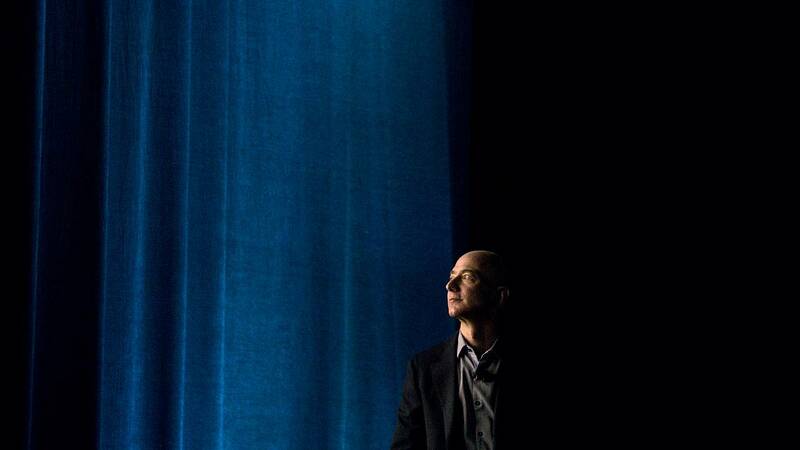 Amazon CEO Jeff Bezos accused the National Enquirer's parent company of "extortion and blackmail" on Thursday for threatening to publish scandalous photos and texts from him if he didn't drop an investigation into how the tabloid obtained text messages exposing his extramarital affair. The emails that Bezos published, which have not been confirmed by NBC News, showed that AMI threatened to publish texts from Bezos and his girlfriend, Lauren Sanchez, that included photos of a sexual nature. In exchange for withholding the photos, AMI demanded that Bezos stop the Washington Post, which he owns, from reporting about political motivations behind the National Enquirer's initial reports about his relationship with Sanchez. "If in my position I can't stand up to this kind of extortion, how many people can?" Bezos wrote on the blogging website Medium of one letter in which an AMI representative detailed embarrassing photos and texts that the tabloid planned to publish revealing his relationship with Sanchez. David Pecker, CEO of AMI, which owns National Enquirer, and President Donald Trump are known to be friends, and Pecker has been accused of buying controversial stories about Trump to keep them private. AMI and Amazon did not immediately respond to requests for comment. Bezos' verified Twitter account sent out a link to the post. "These communications cement AMI's long-earned reputation for weaponizing journalistic privileges, hiding behind important protections, and ignoring the tenets and purpose of true journalism," Bezos wrote. "Of course I don't want personal photos published, but I also won't participate in their well-known practice of blackmail, political favors, political attacks, and corruption," he concluded. "I prefer to stand up, roll this log over, and see what crawls out."